We move north to Sweden for our track today. 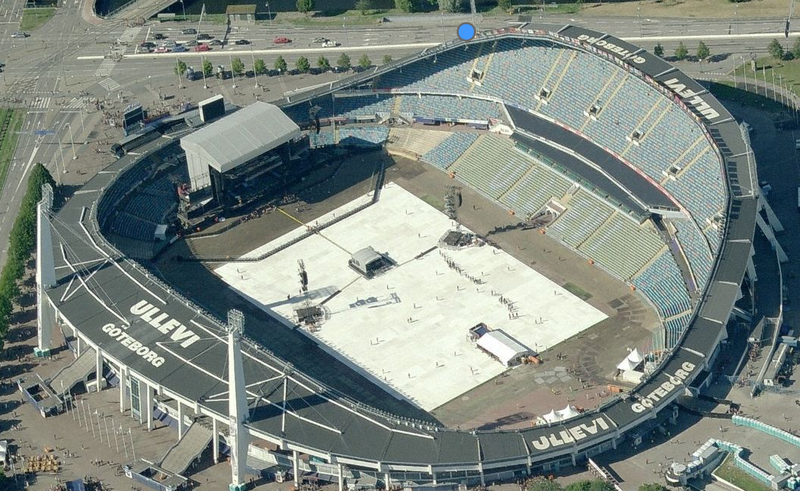 It’s found inside Nya Ullevi Stadion, although it’s covered in the Bing photo this time. Of all the stadiums and tracks I’ve posted so far, this is the first with a concert going on (or prepping for), so I couldn’t pass it up, even though you can’s see the track. This is a multipurpose facility that is used for soccer too, and of course concerts. It was built for the 1958 FIFA World Cup. 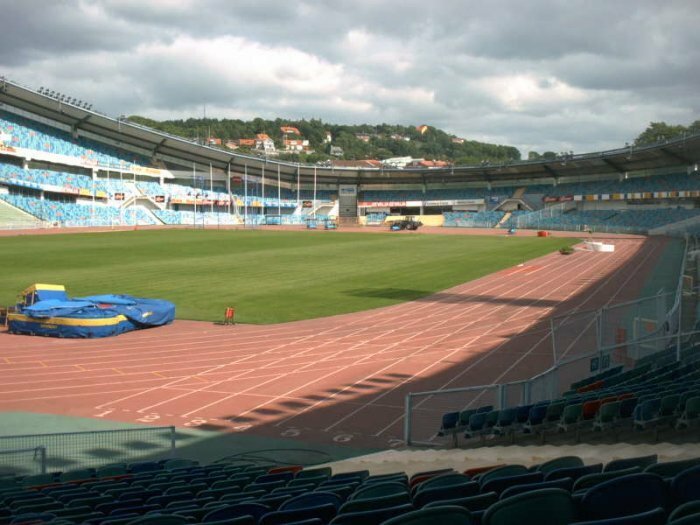 As the largest stadium in Sweden (until 2012) it has hosted some major events, including the 1995 IAAF World Championships where Micheal Johnson went 19.79 and 43.37.